Lake Titicaca, the favorite place name of all middle school boys, was the perfect location to finish our Peru holiday. 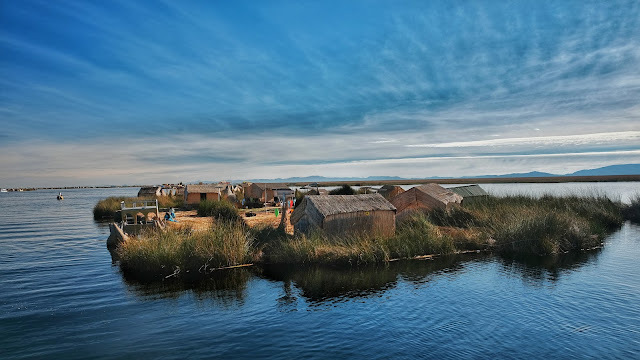 My son and I spent a glorious sunny day on the lake, visiting a Uros reed island, exploring Taquille Island, and learning about the history and culture from our Amantani Isle guide. After taking the morning train from Ollantaytambo and a bus transfer in Aguas Callentes, we wound our way higher into the mountains and the cloud layer and reached Machu Picchu, and yes, with the exception of the selfie-taking crowds, it was so worth the trip to stand over this spectacular location. It was also at this point in my nine day Peru trip with my son that I was grateful to have brought with me only a lightweight, minimal X70. With all the walking, hiking, and climbing, my legs were having difficulty supporting my own body weight, let alone a bag full of gear. 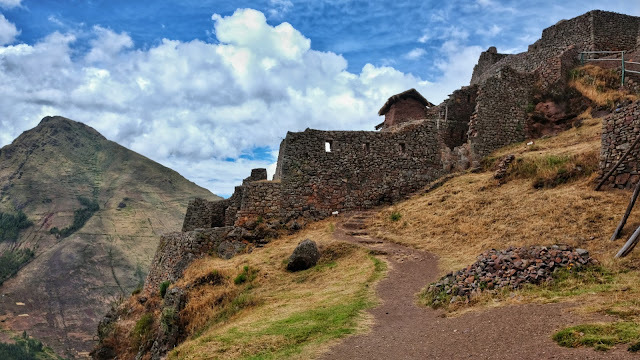 For the second leg of our Peru journey, my son and I climbed aboard a small bus with four other people, a driver and a guide, and set out on an eight hour tour of the Sacred Valley. Small group, beautiful landscape, informative guide: Perfect day! Ruins at Pisac, personal highlight of the day.